Some big announcements from Universal Studios today for Halloween Horror Nights 28! Horror inspired by the 80’s will invade HHN28 this year! Long rumored an speculated on via our forums, this year will feature an 80’s theme! Along with the already announced Houses, Stranger Things, Trick ‘R Treat, and Dead Exposure: Patient Zero we learned that this year will feature more houses than ever before! That means we’ll get 10 houses this year at HHN28! We also learned 3 of the 5 Scarezones that we’ll get to witness! 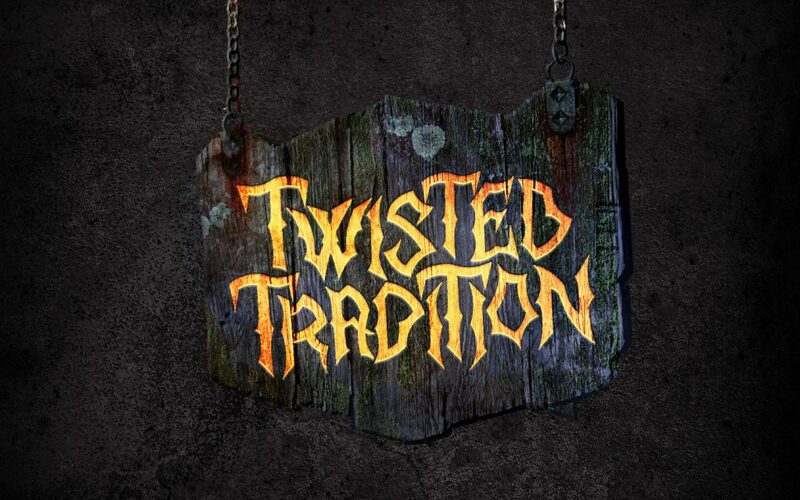 Do you think the images for The Harvest and Twisted Traditions are reversed based off the descriptions? Let us know in our forums! An old barn is the setting of every kind of horror. Its walls are decorated with ominous objects and images from each house, hinting at the horrors to come. This barn is not as abandoned as it initially seems, and by the time you realize what lies within, it will be too late. Foul creatures lurk within, ready for a harvest of flesh and screams. Will you survive the reaping? Before the countdown to midnight has started, it’s clear this party has already been crashed, and the streets are running red with blood. You’ll enter what looks to be your typical New Year’s Eve bash until it’s too late. 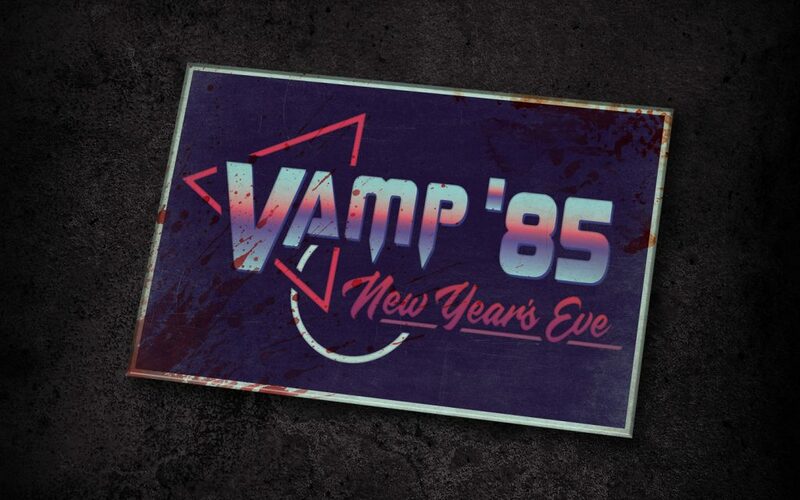 As the ball drops, fanged punks and big-haired vamps will start their feeding frenzy. Travel through the forest of Central Park where an ancient evil has been awakened. Halloween has been transformed into an abomination with rotting pumpkins fused with decaying human flesh. Try and escape the grasps of these fetid beings, with nothing but the light from rotting jack o’ lanterns to guide you. Also returning this year to Halloween Horror Nights will be the powerhouse dance crew, Academy of Villains! This year’s performance will be taken to the next level with an all-new show jam packed with mind-bending entertainment. Stay tuned for more details. We can’t wait for this! You can experience all of the scares and more for 34 select nights starting Sept. 14 – Nov. 3. All tickets and vacation packages are on-sale now, and there are plenty of options to fit your horror-filled needs. Ten houses. Five scare zones. One powerhouse show. What are you waiting for? Halloween Horror Nights begins Friday, September 14 in Orlando. Additional details about the event will be revealed soon. Select tickets and vacation packages for Universal Orlando’s Halloween Horror Nights are on sale now. Universal Orlando Resort is making this year’s Halloween Horror Nights the most intense ever by adding a 10th haunted house to the event. This is the first time in the event’s 28-year history that 10 haunted houses will be featured – giving guests more scares than ever before. Stay tuned – more details about the 10th haunted house will be revealed soon. 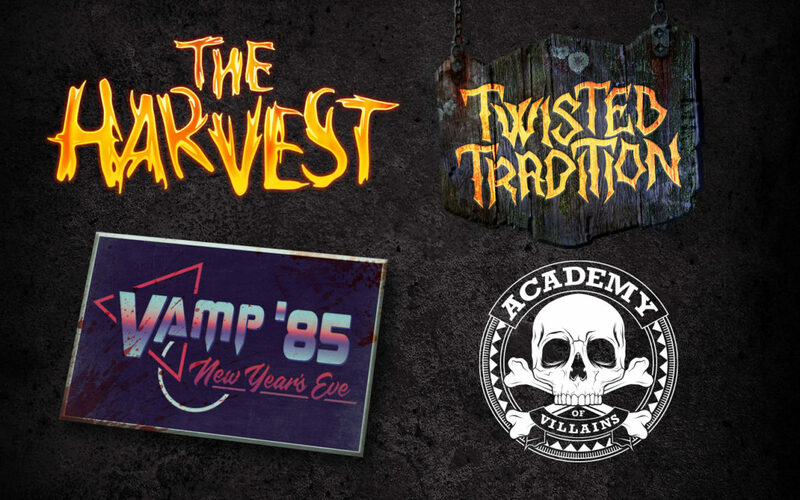 For 34 select nights from September 14 – November 3, horrors of the ‘80s will invade this year’s Halloween Horror Nights. 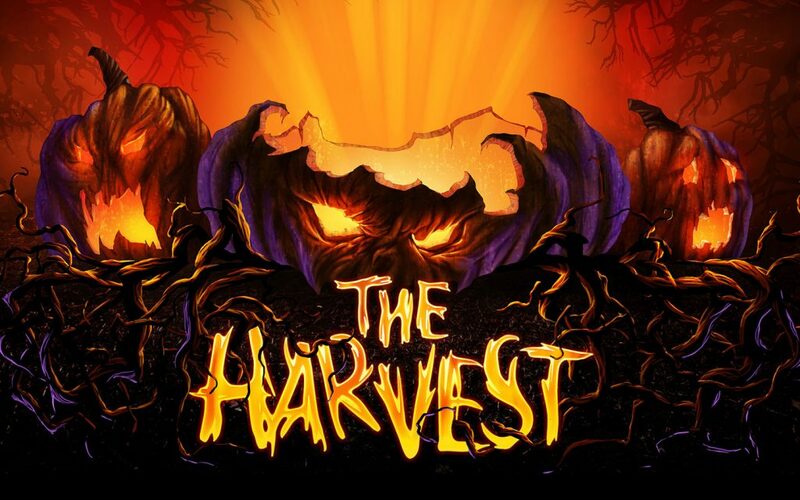 Cinematic greats, slasher films, cult classics and original nightmares inspired by the past will come to life as guests face 10 disturbingly-real haunted houses based on the most terrifying names in pop culture – including Netflix’s sci-fi thriller “Stranger Things” and Legendary Pictures’ Halloween classic “Trick ‘r Treat” – and five sinister scare zones. Universal also revealed some of the scare zones guests will encounter at Halloween Horror Nights 2018. As they venture through the park, they’ll be stalked by ravenous punk, material girl and metal head vampires in Vamp 85: New Year’s Eve, come face-to-face with beings of rotted pumpkins and fetid vines who are seeking out human sacrifices in Twisted Tradition, fall victim to foul and decrepit creatures in The Harvest and more. Plus, Academy of Villains will return with an all-new high energy performance. More details about this year’s event will be revealed soon. All tickets and vacation packages are on sale now for this year’s Halloween Horror Nights. Guests can save up to $52 on a Halloween Horror Nights single night ticket when booking online, maximize their visit with the Halloween Horror Nights Express Pass, which grants them shorter wait times at all haunted houses and participating attractions, and more. There are also Florida resident vacation packages available that include accommodations at the all-new Universal’s Aventura Hotel – opening this August – one-night admission to Halloween Horror Nights, tickets to Universal Orlando’s three theme parks and more. For more information and to purchase tickets, visit www.HalloweenHorrorNights.com. @HorrorNightsORL Sorry to anyone that tried to grab the mobile versions. Links have been fixed! Enjoy!